My week closed with a day of doctor’s appointments and chores. Today is the day of the 2019 Women’s March. I hope a trumped-up right-wing non-controversy doesn’t suppress turnout. I’ll have photos and videos by this evening. The week was a frenzy of news, most of it bad for Trump and the GOP. the House have made a laughing-stock of Mitch McConnell. The week closed with the revelation that Trump may have ordered Michael Cohen to lie to Congress; or maybe not. 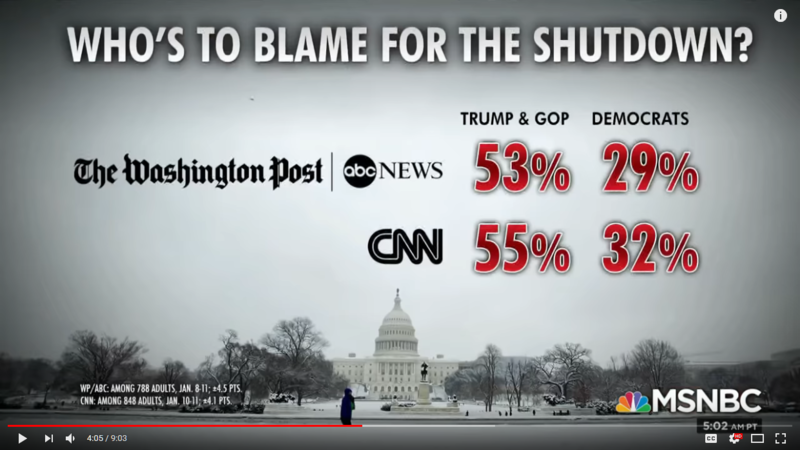 We are in the longest most damaging government shut-down in US history and most Americans are too savvy to buy GOP attempts blame Democrats. The President is holding us hostage and demanding a ransom of five billion dollars from the House. He is also creating a crisis to distract us from the fact that he is under investigation for conspiring to defraud the American People. The whole world suffers when things are right in the US. Looking forward to your memoir, Rob. I’ve just started a first draft. I will publish portions of it to get ideas from other writers. In the meantime I’m also organizing the book of poetry which is going to be the priority. Best wishes for the New Year Rob, snd for the decisions you have made. Relax and enjoy. Cheers! Thanks for the news wrap which, as always is fascinating and disturbing in equal measure. Good luck with your memoir. Put me down for a copy when it’s finished – signed, of course! OMG…Mary. Living in the States is like living in an asylum with no psychiatrists or meds Our news media discusses trump’s foreign policy as if we don’t know he’s a spy. Is this a novel anyone would ever write?